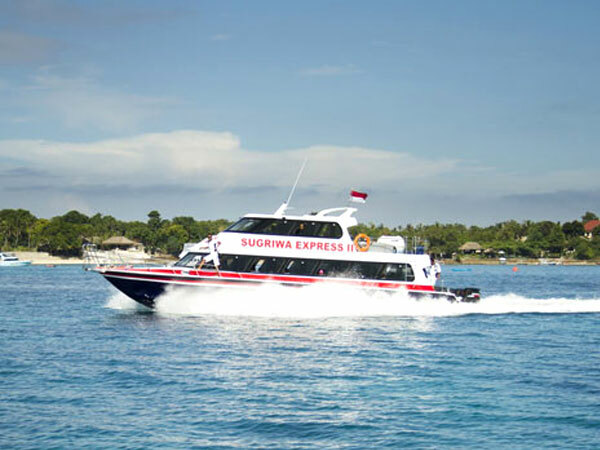 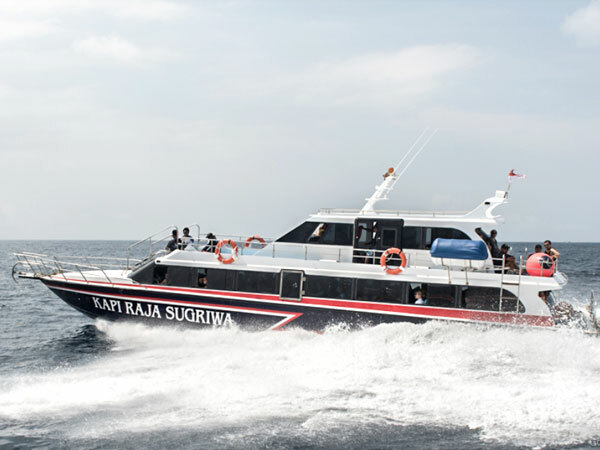 Lembongan Sugriwa Express is a fast boat or speedboat with a luxurious interior design that is balanced with the high level of security and facilities. 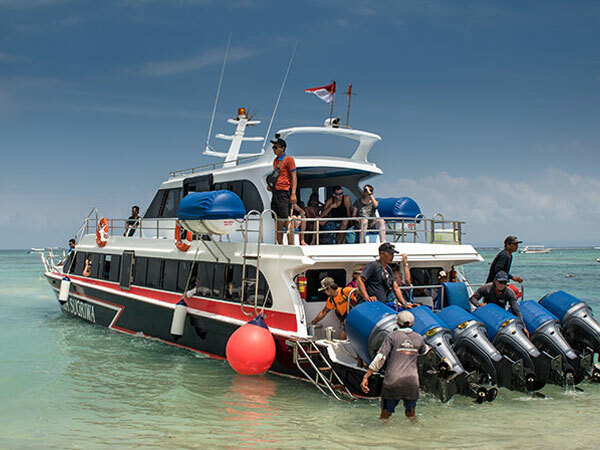 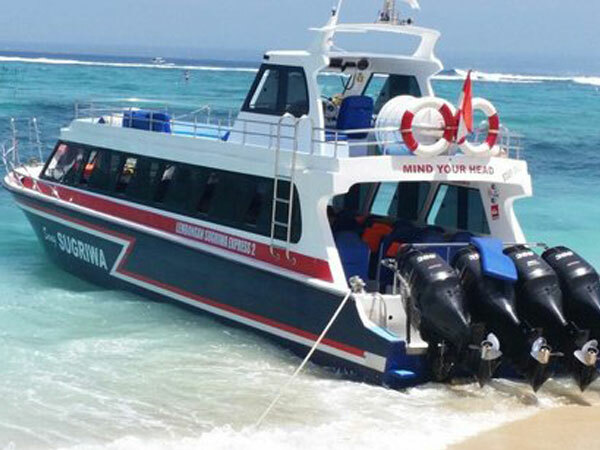 Fast Boat Lembongan Sugriwa Express has been operating for a long time and has experience in sea transportation services from Bali to Nusa Lembongan that handled by staffs who are experts in their field especially in cruise service. 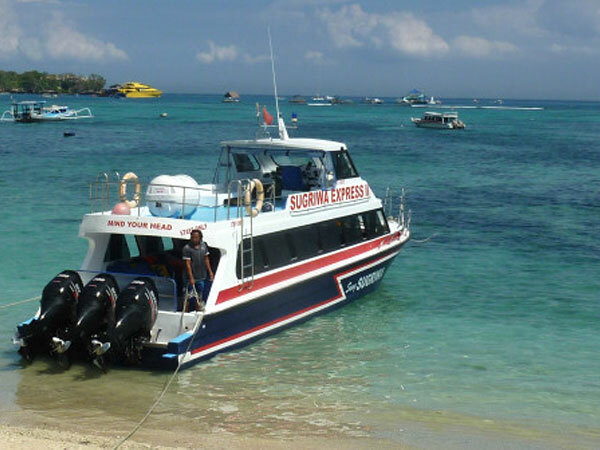 Fast Boat Lembongan Sugriwa Express set a reasonable price with the best facilities and services for passengers. Ships with high-security standards provide a sense of security and comfort during the trip to Lembongan. 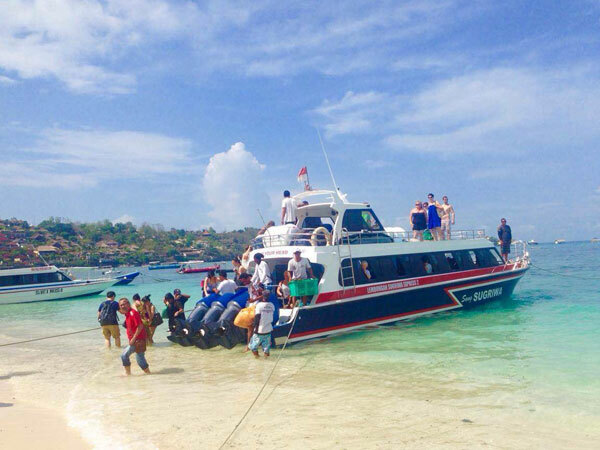 About 12 miles southeast from the Badung Strait we can find Nusa Lembongan island full of uniqueness, natural beauty with the traditional culture still thick Nusa Lembongan Island looks beautiful with the calm atmosphere. 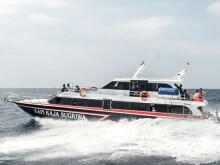 Motorized with 5 engines 175 Suzuki horsepower rated under International Maritime. 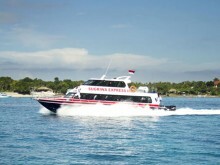 Code of safety, 15,5 meters length 3,30 meters width. 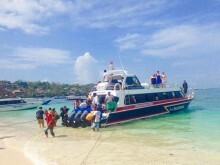 Boat capacity for 55 persons completed with the life jacket.